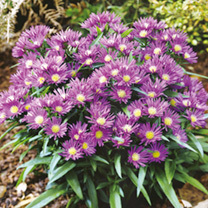 A dwarf and compact aster form with purple-blue flowers, that have a yellow centre. The flowers cover the dark green foliage from late summer and into autumn. 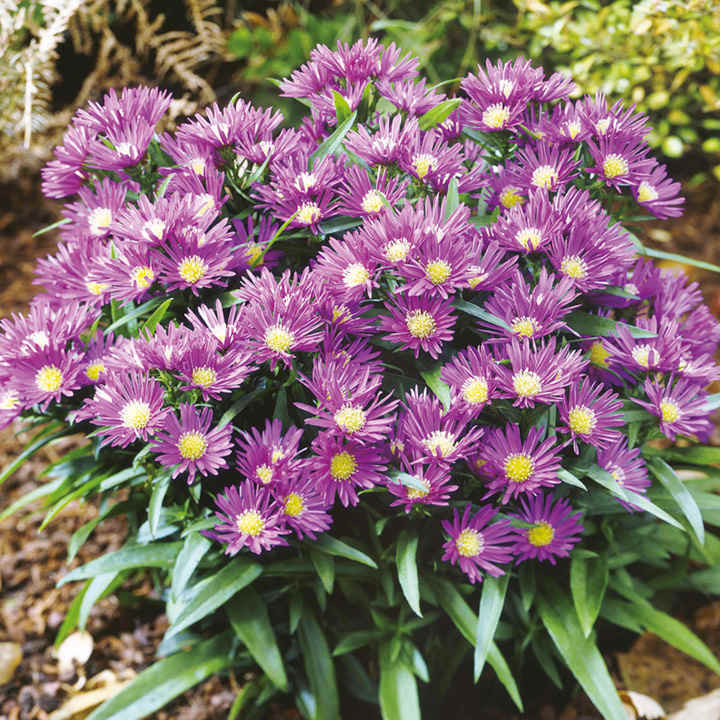 Unlike many other varieties, the Island series keeps its shape and doesn't loose a lot of its lower leaves when it starts to flower therefore a great addition for colour later in the season either towards the front of the border or even in a container. Height 30cm (12"). Supplied in a 2 litre pot. Ideal for beds and borders, patio pots and containers. Attractive to butterflies, bees and birds. Prefers full sun.